Aleya is a native Oregonian who was born and raised in Albany, giving her an intimate knowledge of the surrounding areas. She continues to reside in her hometown with her husband Jake and their fur baby, Chico. She is blessed with nearby family and friends and cherishes every moment they spend together. Aleya will not only represent your interests; it will be an informative and pleasant process. You will be kept ‘in the loop’ at every stage. All of the options available to you will be explained clearly and thoroughly so you can be sure that the choices you and Aleya are making together are the very best for you. She’s a proven professional as an Accredited Buyer's Representative (ABR), and a Graduate of the REALTOR® Institute (GRI). 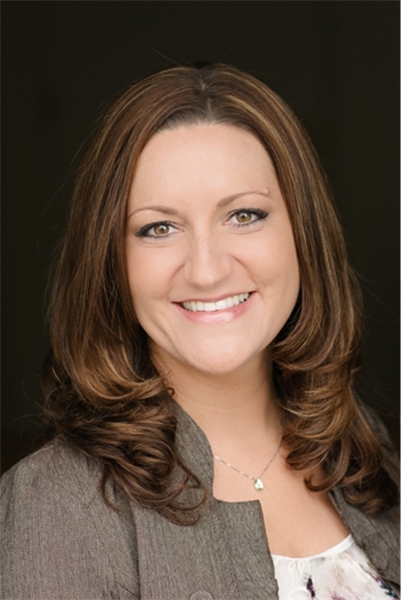 These accomplished designations, partnered with her memberships of the Willamette, Oregon and National Associations of REALTORS®, along with nearly 18 years in the real estate industry (14 years licensed) provide Aleya expertise and a natural attention to detail, beyond that of an average Broker. Through her membership of the Willamette Valley Multiple Listing Service (WVMLS) and the unmatched REALTOR® network, she is uniquely qualified to service clients throughout Linn, Benton, Marion and Polk Counties. Aleya's long-standing reputation of honesty, integrity, professional knowledge and effective communication, has led to most of her business to be from repeat and referral customers, who trust her to guide them through the process of residential real estate transactions. Her personalized and client-centered approach, coupled with well over 200 hours of continuing education, puts a knowledgeable, up-to-date, enthusiastic and full time real estate professional on your side through the entire process, looking out for your best interests. Her extensive background in real estate transactions, sales and negotiations make Aleya an asset for all buyers and sellers she serves. If you are looking for a truly caring, detail oriented, sincere people person to assist you in the purchase or sale of your property, make Aleya Murphy your first choice.